Gimmie, Gimmie More Mac & Mia! Life with a toddler in our house means some pre-bed snuggle sessishs. Toddler unwinds with some Seasme Street, while I unwind browsing Instagram, Anthro, Nordstrom and Amazon. I always bookmark and save so many cute kids' clothing brands and stores, but never have time to go back, browse and buy. When I heard Molly became a stylist for this kids brand, I knew the clothes had to be good. Not only does Molly have impeccable style, but her tots are always totally dressed on trend. While I waited in the car for long delay in a takeout order from our favorite Thai restaurant (Nicky's Kitchen), I signed up for Mac & Mia via my phone. My registration was done before our crab wantons were ready! My Mac & Mia box arrived in a timely manor. Let's talk about the box for a second. It's so cute! I'm big on packaging and love the dotted cardboard lol. I saved the box to store my tots' art supplies. When I opened the packaging I GASPED at the pineapple romper. That was a keeper (see below). All of the items would have stayed with us, but one item was similar to something I had just purchased (Molly knew my taste so well) and the pair of white denim Seven jorts (who knew Seven made kids jeans!?) had to go back as they wouldn't have made it one meal with my kid. Inside the box there is a simple pre-labeled bag to ship items back inside. SO EASY! The hubs is super map obsessed, so probably will wish I would have kept this dress once he stumbles upon this post! There are so many things that I loved about Mac & Mia, but one of the biggest is that there were options - dresses, separates and accessories. The shipment even included paper dolls and stickers for Lennon! As the kids say, "so extra." In addition to the pineapple romper, we kept the coral cross back tank...because...I mean....that COULD NOT GO BACK! Here's a shot of Lennon in her pineapple romper. It's a little big, but that was the plan. We want this thing to last ALL SUMMER LONG! 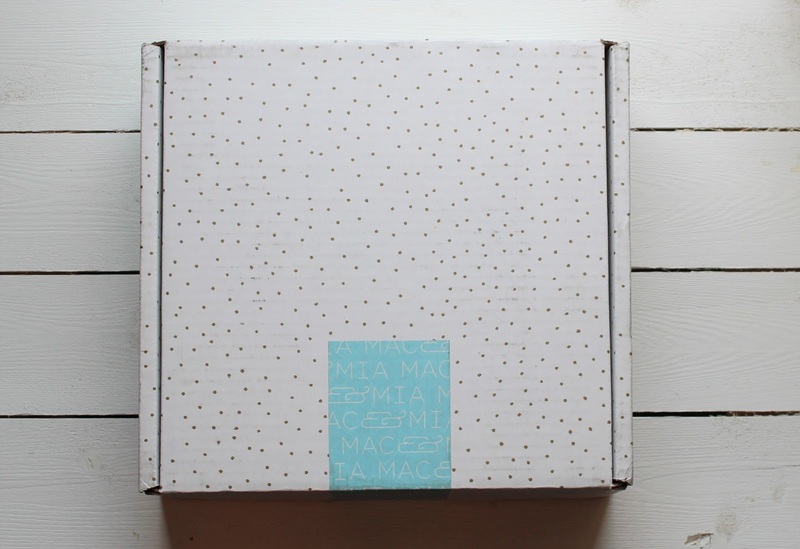 Here is a link to get $20 off your first box if you'd like to try Mac & Mia! It's highly likely that I'll order another box in the late summer for some fall goodies!